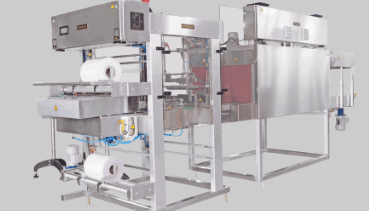 Autopack – affordable shrink wrapping and tray packaging system. An easy and robust inline solution that anyone can easily handle from day one. At Autopack, they are experts in solutions for your shrink wrapping and tray packing needs. The machinery is delivered in European quality – produced in the East at an extremely attractive price. Autopack’s components are delivered by well-known European suppliers and the machine operator can even stand without problems for daily production and possibly conversions and format changes. A customer has told us that their technicians at one point expressed wishing to be able to get rid of both an old and an almost newly purchased European shrink film, and instead solely invest in producing on Autopack equipment in the future! At Scanpack PPS lets the Autopack “speak for itself” and we look forward to tell you about the many options offered by Autopack.